Do you want to run but you have no time because of your busy schedule and the event's schedule not fits yours?! And you want to run but with no pressure of beating the cutoff? How about running in your own chosen venues?! Well if these things are your dilemma in joining a marathon or an ultramarathon, worry no more 'cause a Virtual Race is designed for a busy people like us. Dubbed as the VirtualRacePh, this is a running event at your own pace. VirtualRacePH aims to be the premier virtual race organizer in the country. We hope to support charities and causes while organizing virtual races. A Virtual Race is an event where registered participants are encouraged to finish a given distance on their own time, at their own chosen venue, with their preferred company. Participants are then required to upload their data or any proof of completion of their run to the organizer's page for verification. After completing the challenge, the finisher's entitlements are delivered to the registered participant. With the goal of being the premier virtual race organizer, VirtualRacePH boasts thousands of hits through its website and social media accounts. VirtualRacePH also has hundreds of registered runners and supporters from Luzon, Visayas, Mindanao and even from overseas! More importantly, VirtualRacePH stays true to its mission of building an inclusive and supportive community of runners who love running, care for others and can make real difference one run at a time. With your support, you can be our partner in realizing this mission. 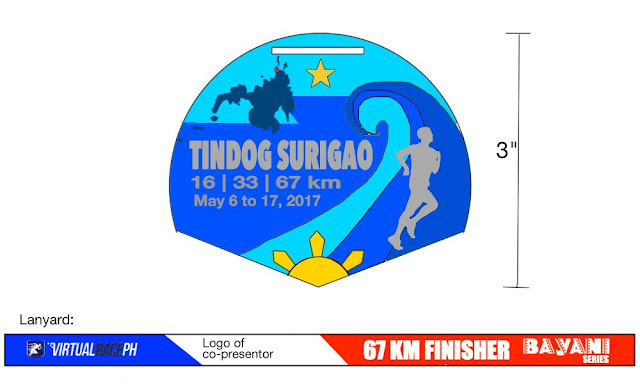 Now let's have a walkthrough of their next exciting event, the Tindog Surigao. The goal of the event is to raise at least One Hundred Thousand Pesos (Php 100,000) for the benefit of Surigao earthquake survivors. The proceeds will be used for the different disaster management services of Caritas Manila, Inc. to the affected area. 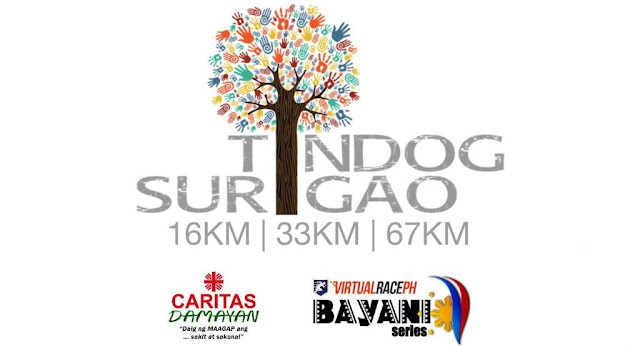 *The virtual race period is set to symbolize the 6.7 magnitude earthquake that hit Surigao. *Two Hundred Pesos (Php 200.00) will be donated from the registration fee for each registered and paid runner. REGISTRATION will be done through thei website at http://virtualraceph.com. 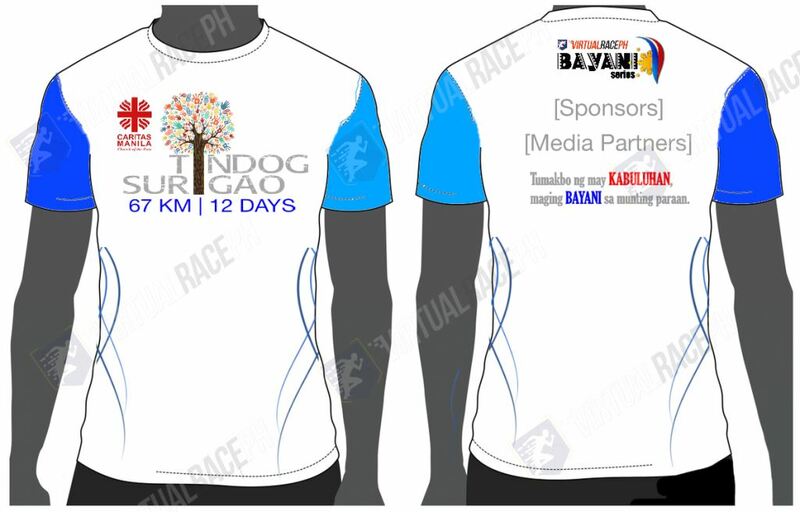 Note that the 67KM print of the shirt and medal are for layout only. ALL categories can have their shirt and medal if they choose to. 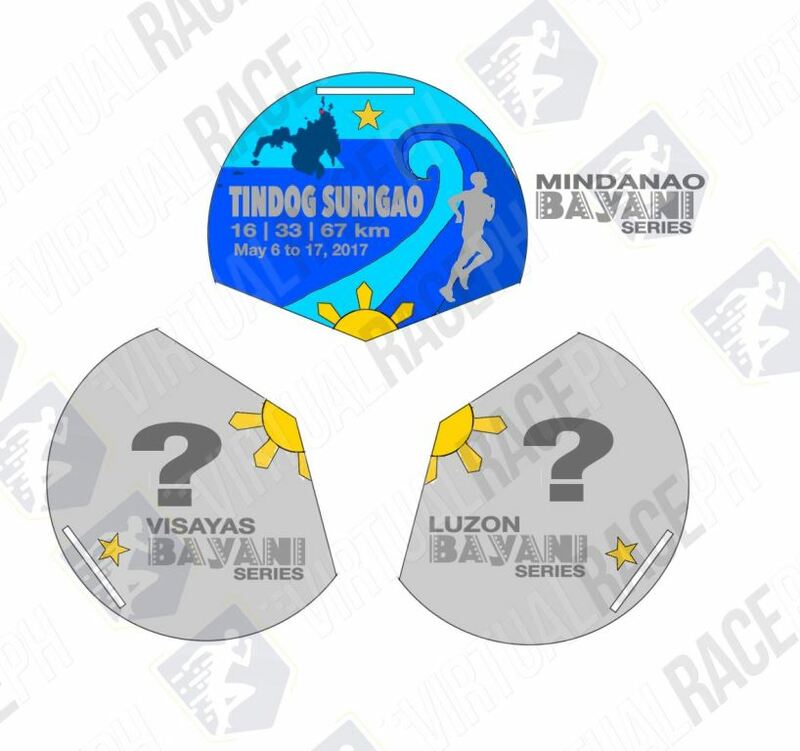 And yes, this is a 3-Leg virtual race representing the Philippines' Luzon, Visayas, and Mindanao.